Two British special forces soldiers have been seriously injured in an Islamic State attack in Syria, the BBC understands. British special forces are believed to be operating in Syria but the Ministry of Defence would not confirm this. 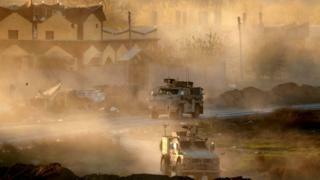 Social media reports said the two British soldiers were attacked by a missile near the town of Deir al-Zour. They were reportedly evacuated by US forces on Saturday morning. A Kurdish fighter is thought to have been killed. In December, US President Donald Trump announced he was withdrawing troops from Syria and claimed the IS group had been “defeated”. His decision to withdraw troops was met with surprise and strong criticism. The UK government distanced itself from the president’s comments, saying “much remains to be done”. 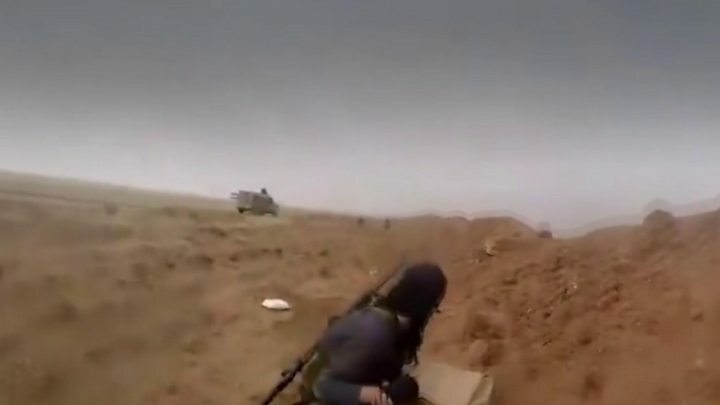 Media captionExclusive footage: Is this the Islamic State group’s last stand in Syria? The UK has been part of a coalition of several countries – led by the US and including France, Jordan, Saudi Arabia and Turkey – launching air strikes as part of efforts to push IS out of Syria. And in April of last year, the UK was involved in air strikes against the Syrian regime in response to an alleged chemical attack on Douma on 7 April. Speaking in Parliament after the strikes, Prime Minister Theresa May said it was “legally and morally right” for the UK to step in to prevent “further human suffering”. The British government never comments on the deployment of special forces – but they are believed to be on the ground in Syria. In March 2018, UK soldier Sgt Matt Tonroe, 33, from the 3rd Battalion the Parachute Regiment, was killed by a roadside bomb while in combat against IS.